During Loot Hunting Week we'll be going through every Cataclysm Heroic to see which one is the most profitable to solo farm. Up next is the second part of Cataclysm's endgame Hour of the Twilight instances, The Well of Eternity. It's much like the previous instance, End Time, when it comes to the amount of trash. There's barely any trash here either, so it's not the most profitable instance to farm. Still, there's loot to be had! But how much? How much gold can you make by soloing Heroic Well of Eternity? Well of Eternity is also Heroic only, so you can't do it in normal mode. Though it's not hard at all if you are level 90 and have self heals. Like all Heroics, you can clear this one too only once per day. There's not much loot to be found here, so it does not matter if you can't do it again. You can access Well of Eternity the same way as we accessed End Time. It's entrance is located in the Caverns of Time also. This time it's the opposite side of the cavern, between Old Hillsbrad and Black Morass. 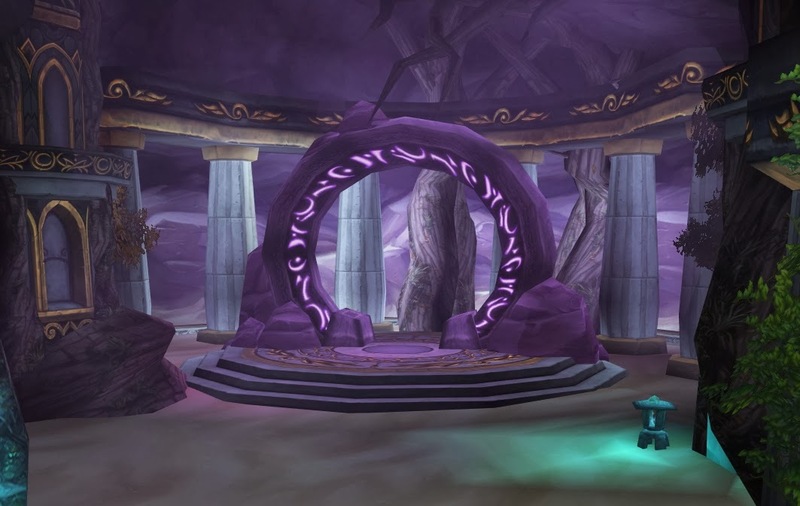 To get to the Caverns of Time, take the portal to Tanaris from Dalaran. take you to the instance. The amount of mobs in the room after meeting Illidan may want you to go berserk with AOEs. However, I would advise against it. The Guardian Demons can spot you from hundreds of yards and will kill you almost instantly. It's also likely that the Felguards won't even drop loot if you manage to kill some. You don't need tactics for this instance, besides for the second boss, Queen Azshara. When she starts casting Total Obedience, you MUST interrupt her. Otherwise you are mind controlled and the fight will reset, and you will die for some reason. Per many requests, I will also go through achievements that you can obtain while in these dungeons. You can get the 2 achievements from here very easily when soloing. Lazy Eye: It's a good idea to hug the flame wall and run in circles until the eyes vanish during the first boss. That's Not Canon! : Simply attack Mannoroth only and ignore Varo'then. It takes about 30-40 seconds until Mannoroth eats him. Where is the loot? What loot? There's not that much trash in this instance either, so there's also not much loot to be found. There's also only 3 bosses, but last one at least drops more than one epic. Hour of Twilight instances also drop BOE epics sometimes, but they are vendor trash. It may be a good idea to disenchant them too if it's profitable to do on your realm. "Better go farm Hogger instead."